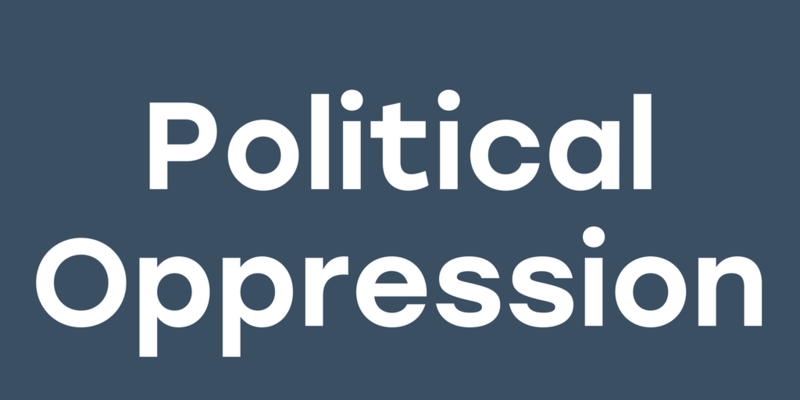 So, is it possible that political oppression is just a phase and it’ll go away on its own? Not likely, because the policies that the government doesn’t enforce can be just as harmful as oppressive laws it does enforce. Think for a minute about how easy—or difficult—it is to get a glass of clean water where you live. Around the world, women and girls spend 200 million hours collecting water every day—all because of systems governments simply don’t put in place. That’s time that could be spent going to school. It’s time to rewrite history. And that doesn’t mean rewriting history books in a way that benefits the government, as many countries do. If you read school history books in India and Pakistan, you’ll find two very different versions as to who is responsible for their contentious relationship (hint: in reality, both sides carry some blame). World War II is a another great example of how different countries tell different stories. The Holocaust was a tragedy where 11 million people were killed because of their religion, but also because of their sexual preferences, gender identity, physical or mental disability, ethnicity, race, or political opinion. But get this: in many countries, the Holocaust isn’t even covered in history class. That, too, is a form of political oppression, especially when it means people are less aware about where a dictatorship can lead. Don’t believe that’s an actual quote? Read the full story. Education can also be used as a tool to help children understand current issues in the government. Robtel Neajai Pailey is a Liberian author who is using books to help children learn about corruption in the government. One of her books is called Gbagba, which means trickery or corruption in the Bassa language. Want to hear how she is changing the political conversation for the new generation, one book at a time? And okay, we know we’ve spent the last few minutes telling you about all of the ways government can oppress its people. But another way to stop that from happening? Work from the inside. And want to know one of the best ways to change politics? Elect more women. Okay, now that you’ve got the facts, click below to decide how you want to start taking action.